There is still quite a lot of confusion out there about New Zealand NZ Domain Names, the involvement of Domainz. Even some of our own clients who registered their NZ domain names originally many years ago, have been confusd. So we have written this article to help to clear up any confusion that people may have . In the early days of NZ domain names(prior to 2002), Domainz was the only .NZ domain registry operator. This meant they were the only company that could be used to register / renew / manage NZ domain names. Domainz NZ Domains did however allow other companies to resell domain names on Domainz behalf, but ultimately all resellers still had to interact with Domainz in the registering or renewing of those NZ domain names. We also had to use Domainz domain management control panel to manage our own clients domains. So effectively Domainz were the only company in New Zealand that could register domain names at that time. In 2002 the SRS system was opened up to allow any approved company that met the criteria of being a NZ authorised registrar, to become one. So this meant that Domainz were now on the same level as all the other new .NZ authorised domain registrars that had applied to become a registrar. These authorised NZ domain registrars are overseen by the NZ Domain Name Commissioner. So as of 2002, there was now no need to use Domainz to register your .NZ domain name with. As of 2003, there were in excess of 40 authorised registrars that people could choose to register their domains with. As a result the price of registering a .NZ domain dropped. Domainz now appears to be owned by an Australian company called Melbourne IT. Although it used to have an Office in Wellington, it doesn’t appear that this is now the case, and it now appears to be run from Australia. 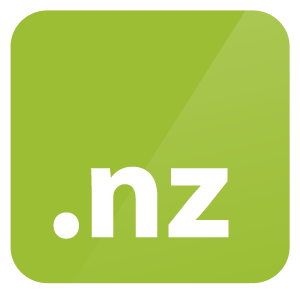 Are you looking for a New NZ Domain Name provider, that is also 100% NZ owned? If you are looking for a new Domain Provider to transfer your existing domain name, or would like to register a brand new domain name, please consider using our NZ Domain Manager system. Domain transfers are Free for NZ domain names, and all existing applied domain credit is transferred with your domain name. Domain accounts are also free to use. The Lounge Network is a 100% NZ owned company based in Wellington, and our NZ Domain Manager puts you in full control over your domain name, with an easy to use control panel.